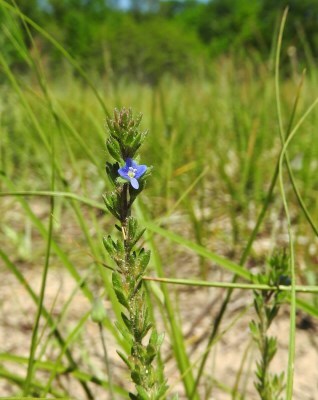 A European species, first collected in Michigan by O. A. Farwell in Oakland Co. in 1928 (8188, MICH, BLH), who reported it “along roadsides, on sandy hillsides, in sandy fields and cultivated grounds everywhere about Ortonville.” It is still at Ortonville and elsewhere in Oakland Co., but very local elsewhere in the state. MICHIGAN FLORA ONLINE. A. A. Reznicek, E. G. Voss, & B. S. Walters. February 2011. University of Michigan. Web. 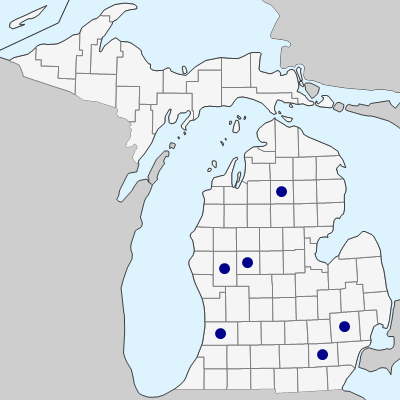 April 21, 2019. https://michiganflora.net/species.aspx?id=1977.